Ruben Mosqueda of Metal Titans spoke with guitarist John 5, whois currently on tour in support of his live effort titled It’s Alive!. Portions of the interview appear below. Metal Titans: How did you connect with Rob Halford [for the 2wo project]? 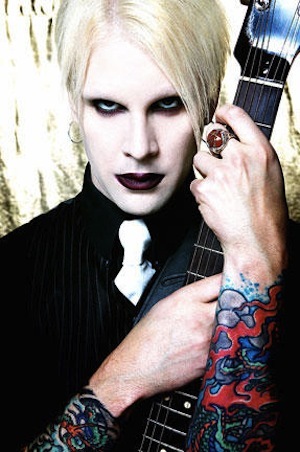 John 5: I met Rob through producer Bob Marlette. It was an awesome and incredible learning experience. I didn’t know a lot at the time and working with Rob was an education for me. Rob was so inspiring to me. I have to tell you in my time working with him he never had a bad night. His voice was always spot on, it was incredible. Metal Titans: There’s a version of Voyeurs that’s more guitar oriented is there not? John 5: There is, what happened was that the record was a heavy guitar oriented record; we were signed in 1997 and Nine Inch Nails was huge. We also happen to be signed to Trent Reznor’s label Nothing Records. It was incredible. I went on tour and while I was away he went to mix the record and at the time guitars weren’t “the thing” so they wound up taking a lot of them out. The result was more of an “industrial” record which is cool but I personally think the guitar record is much better, but what can you do?! [laughs] I wasn’t there to speak my peace. A good song is a good song and you can hear that on the record, people love the record. I proud of it. Metal Titans: Do you think the alternate “crunch” version will even see the light of day? John 5: I don’t know. That’s really up to Halford, but I have to tell you I was just listening to that version a little while ago. Damn! It’s so good dude! [laughs] It’s really a great record. Metal Titans: 1998 was a big year for you because that’s the year you also did the DLR Band record. How’d you connect with David Lee Roth? Metal Titans: You have two live records out at the moment; your live solo album It’s Alive and Rob Zombie Astro Creep: 2000. Metal Titans: Are you doing the It’s Alive record in its entirety on this tour? Metal Titans: You have Knights In Satan’s Service Instagram which is dedicated to KISS memorabilia. Starting in July, you can John 5 on tour with Rob Zombie.